The founding conference of the International Solar Alliance (ISA) got underway in New Delhi today. Jointly hosted by Prime Minister Narendra Modi and French President Emmanuel Macron, the meet is drawing a common strategy to deal with threats of climate change. 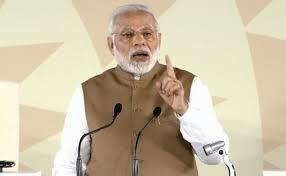 Speaking on the occasion, Mr Modi called for concessional and less-risky finances for raising the share of solar electricity in the energy mix. He pledged to generate 175 gigawatts of electricity in India from renewable energy sources by 2022. The Prime Minister presented a 10-point action plan that includes making affordable solar technology available to all nations, framing regulations and standards, consultancy support for bankable solar projects and creating a network of centres for excellence. He said, solar energy presents a permanent, affordable and reliable source for meeting the energy needs of mankind. As a demonstration of India's commitment to ISA, Mr Modi said, 500 training slots will be created for member countries and a solar technology mission will be started to lead R&D in the sector. He added that to supplement solar energy generation, India has distributed 28 crore LED bulbs in the last three years which have helped save 2 billion US dollars and 4 gigawatts of electricity. In his address, Mr Macron said, while the world has taken great strides in understanding the importance of solar energy, much still needs to be done. He asked the visiting dignitaries to make concrete announcements on what they are doing to generate solar energy in their countries. In her welcome address, External Affairs Minister Sushma Swaraj said, ISA is not only a testament to India's unwavering faith in multilateralism but also a commitment for a better, sustainable and greener future. She said, India has provided support worth 27 million dollars towards hosting the ISA secretariat and has created an ISA corpus fund. Earlier, 61 countries signed and 32 ratified the ISA Framework Agreement which is a reflection of common desire to significantly augment harnessing of solar energy, make joint efforts towards development and mobilize investment in the solar sector. AIR correspondent reports that the day-long conference is deliberating upon finance mechanism for the promotion of solar energy, crowd-funding and technology transfer. It is being attended by heads of 23 nations and 10 ministerial representatives of different countries. United Nations dignitaries, Presidents of multilateral development banks and global funds and financial institutions and energy-related institutions are also attending the conference.